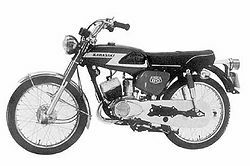 The Kawasaki G2S and G2T were street motorcycles manufactured by Kawasaki in two variants from 1974 through 1976. 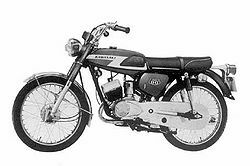 It was an excellent entry level motorcycle due to its lightweight design and ease of use. They were eventually replaced by the KC90 which was effectively just a name change. The G2S was developed from the GA1A but had a washable air cleaner element. The G2S was made in 1974 only. The G2T was developed from the GA2. Similar in appearance to the G2S, the transmission and rear sprocket differed. The air cleaner had a washable element. This model was made from 1974 through 1976. This page was last edited on 24 November 2010, at 02:36.